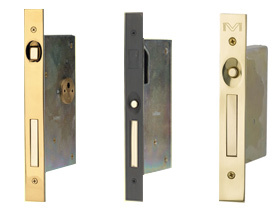 Baldwin Boulder, Palo Alto and Santa Monica large and small. 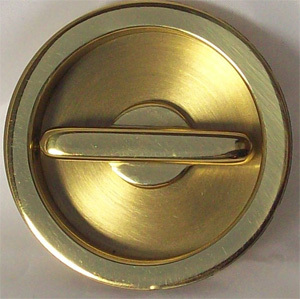 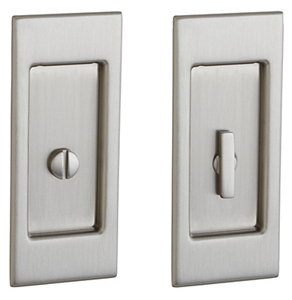 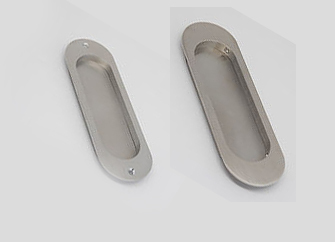 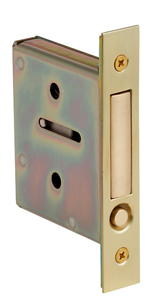 Available in up to 20 finishes, and four styles. 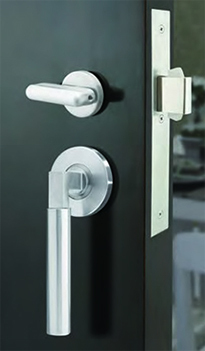 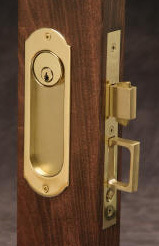 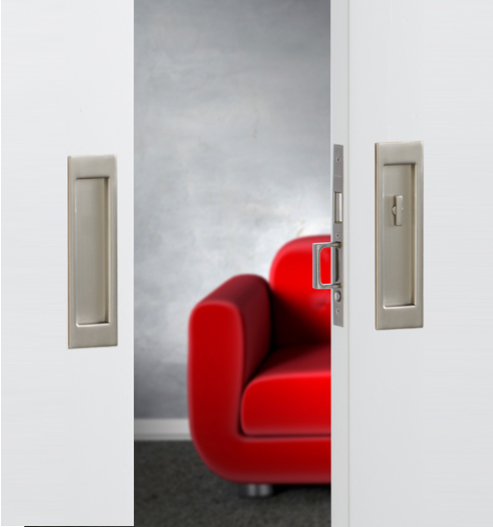 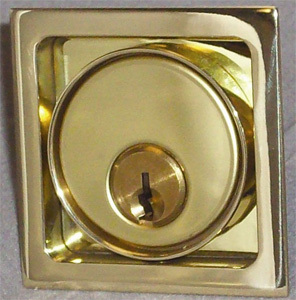 Pocket door lock for every design aesthetic. 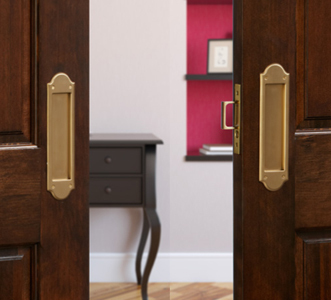 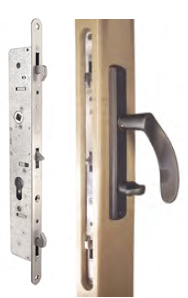 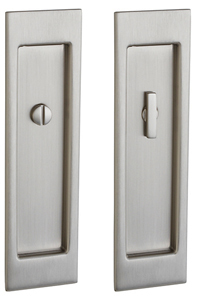 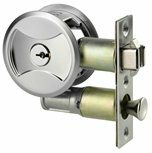 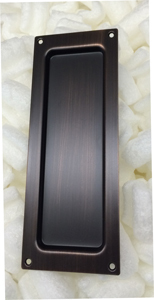 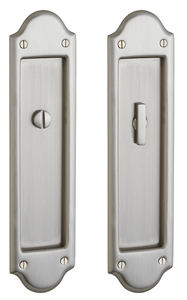 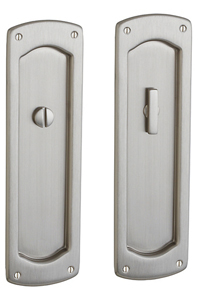 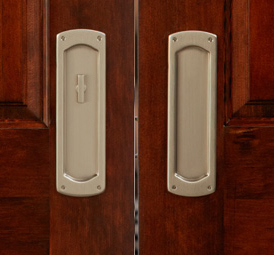 8.3" x 2.3" 5.5" x 2.3" 9.3" X 2.3" 8.1" X 2.4"
Baldwin offers the options of Passage, Privacy, and Keyed Entry. 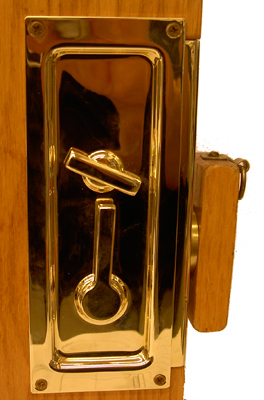 This lock requires a cut out of 2.562" deep x 5.75" tall. 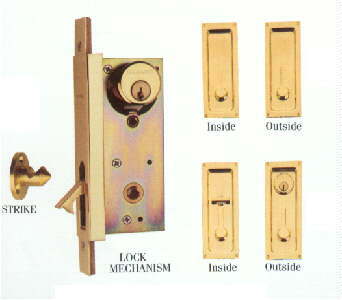 Positive latching when door is closed. 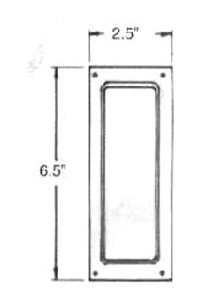 Plate size 2 7/8" x 7 1/4"
1 3/8" OR 1 3/4"
Full Plate Trim - 7" x 2 1/4"